“Expectations in music are a dangerous road to take. You can’t expect anything from this and just do it because you truly love it and get something from playing. I’ve dedicated my entire life to this. I can’t even begin to count the hours, days, years etc…that I’ve spent in search of the beat and rhythm I speak about. I’ve missed holidays, missed birthdays, missed social interaction with people in the normal setting of life all for music. I’m not complaining, on the other hand, I’m just stating the truth, that this takes real dedication. If you give this much to something, it’s bound to give back to you. ” DVS1 for Once Was Now blog. I am going to catch Zak, aka DVS1 (Devious One) next monday night at AURORA Festival. I will be very happy cause he’s one of my fav artist around. Long story short: Zak aka DVS1 comes from Minneapolis, midwest US, the city of Prince but also land of grain and agricolture. He gets popular in Europe and worldwide few years ago (around 2009) thanks to Ben Klock and Derrick May. They were the first to releases DVS1 own production on Transmat and Klockworks. Zak has been djing in the underground for years that’s why he owns a huge vinyls collection (more than 10.000 units) and this is why he is so solid, not a parvenue but a very dedicated pro. 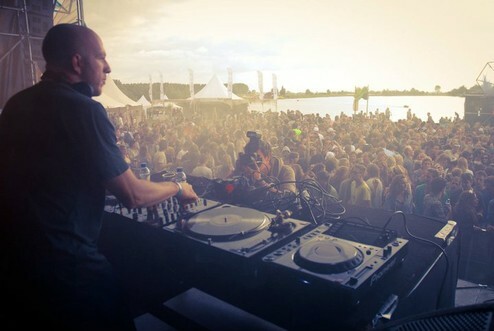 He’s the perfect example of contemporary techno artist: both skilled dj and top producer. He likes deep vibes and rough attitude in music. His own tracks are very consistent adding microvariations over arpeggios and a swingy groove with deep basses and a detroitish approach. You can call it detroit techno or deep techno, but to me there is a lot in his music coming from the early NY acid techno. Filters opening up or modulating, his leads never stay still. This is what I like of DVS1’s music: you get energy, deepness and elegance all in one. this track is called “Confused” and was released On Klockworks in 2011.
and this is still DVS1 playing at Scala in London. fancy venue and deep vibes. “Confused” , such an amazing piece of music.